Kathy Tomlinson is a reporter on The Globe’s national investigative team. In 2016, she won a National Newspaper Award, and earned a Michener Award nomination, for her investigation into questionable conduct in Vancouver’s real-estate market. It was dirty money – stuffed in the trunk of their Mercedes and behind a seat in their Range Rover. The rest was squirrelled away in a safe and a night table, at a condo they were using. Small bills – $660,970 in all – covered with traces of deadly fentanyl and other street drugs. Police seized the cash in the spring of 2016, when they arrested Ying Zhang, Zhi Guang Zhang and Wei Zhang, after putting them under surveillance and watching them conduct business in parking lots in and around Vancouver. They weren't charged with any crimes, despite the evidence that they were peddling opioids that kill people. It's not unusual in B.C. for police to forgo pursuing charges when they find dealers in possession of drug money, but not holding actual drugs. The Zhangs did lose their cash, though, for good: A judge ordered it forfeited to the provincial government as "proceeds of crime." It's a big headache for any drug trafficker: trying to protect illicit profits from being stolen or confiscated. They can't walk into a bank with bags of cash, because staff would be required to report that to authorities as suspicious. And so the money piles up. Until they find a way to launder it. 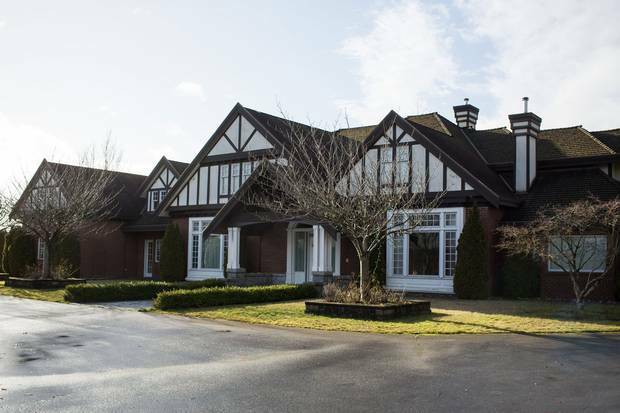 A Globe and Mail investigation has discovered that the Zhangs and other local residents associated with drug-related crime are effectively parking their riches in Vancouver-area real estate, where it is rendered clean and secure, without actually owning any of the properties. Just hours after The Globe's investigation was published, B.C. 's attorney-general responded by calling it "very serious and deeply troubling." "This story confirms our government's commitment to taking action to crack down on money laundering and criminal activity in B.C.," David Eby said. The Zhangs and others call themselves private lenders – issuing millions of dollars in registered mortgages and short-term loans. Just as a bank does, they grant a loan, then register a land-title charge against the borrower's real estate, equal to the value of the debt, plus interest. The charge, which gives them a stake in the real estate, remains in place until the debt is cleared. If the property is sold, the loan gets paid out from the sale proceeds, in clean money, all seemingly legal. Except these financiers are unregulated and unlicensed and the loans they grant are in cash, which is likely dirty money derived from drug deals or other crimes. The Zhangs charge interest rates of up to 39.6 per cent, with some private lenders demanding up to 120 per cent. Court records show that one of the Zhangs' associates is among those allegedly charging that extortionate level of interest, which is double the maximum legal rate. 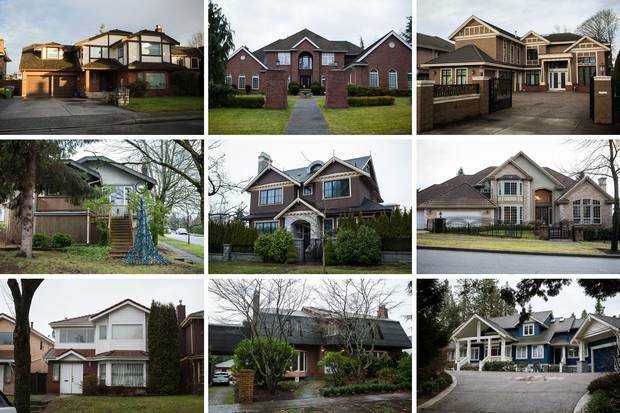 By combing through hundreds of lawsuits, foreclosures and property records, The Globe identified 17 such lenders, who have collectively claimed a $47-million stake, plus interest, in 45 Vancouver-area properties in recent years. The three Zhangs alone laid claim to at least $20.7-million of that, individually or through numbered companies. Their target customers are wealthy Chinese newcomers or tourists – and their grown children – who've bought property in Canada and who want to use it as leverage to borrow large amounts of cash, as they might with a home-equity line of credit, for gambling or other extravagances. Some borrowers appear to use the loans to pay down other debts. Typically, their wealth is in China – money that can't easily be wired to B.C., because the Chinese government forbids its citizens from taking more than US$50,000 per year abroad. Most of the homeowners already have at least one mortgage with a Canadian bank, and may have maxed out their legitimate borrowing power in this country. Enter the private lenders, offering quick, easy money – by word of mouth – through social and business circles. One of the Zhangs' customers was a real-estate developer, based in China, who has a gambling habit. 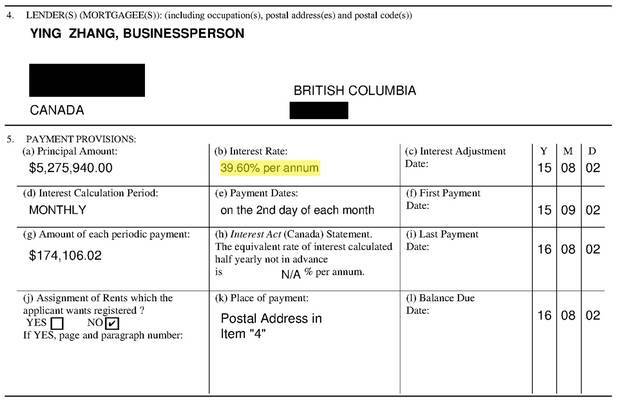 Jia Gui Gao borrowed tens of millions of dollars – more than his B.C. properties were worth – from several private lenders. Then he simply walked away from $58-million worth of empty Vancouver-area mansions and vacant land he owned, leaving it all to his creditors. When one of the properties sold for $8.7-million in a foreclosure last year, mortgage holders and suspected drug dealers Ying Zhang and Wei Zhang received court-approved payouts totalling $2.18-million. That money constitutes another source of credit churning through the real-estate market, that financial regulators aren't monitoring. The private lending is also yet another scheme that may well be inflating sale prices, in a city where real-estate speculation has already pushed prices well beyond the reach of middle-class citizens and has ignited a national debate and a raft of responses from policymakers. Many of the properties The Globe looked at sold, after the private loans were taken out, for much more than the owners had paid for them. Each time a real-estate investor cashes out like that, it sets the market price higher for all houses in the neighbourhood. "The borrowers are using their homes as collateral, so I would think there is an incentive to sell your house at a higher price later, speculating on the hot real-estate market, to cover the costs incurred to pay off extremely high interest payments," said Denis Meunier, former deputy director of FinTRAC, the federal agency that analyzes money laundering. Richmond lawyer David Chen, who has represented some of the borrowers, agrees. "It could be one of the reasons we have such a jacked-up real-estate market in Vancouver," he said. "If today our regulators had a way of managing and minimizing these transactions … you would have the money going somewhere else, not secured through real estate." Beyond the Zhangs, such private moneylenders in B.C. include Xun Chuang, who has a record of drug crimes; Vinh-Loc Chung, convicted for carrying a restricted firearm; Xiao Ju Guan, found storing ecstasy and other drugs; Ye Jin Li, convicted on drug charges; and Kwok Chung Tam, a long-time Vancouver lender who's been convicted of drug crimes. Mr. Guan also ran a business wiring cash overseas. The $47-million in private lending unearthed by The Globe is a just a fraction of the questionable lending: Only debts in dispute or serious default end up in court, generating a paper trail. Here is the path drug money can take if it’s laundered through real estate loans and mortgages. Most of the loans get paid back privately, and no one is the wiser. Once a loan is secured, with real estate as collateral, paying it back, under the radar, is simple. One long-time customer told The Globe that he and most other borrowers make their payments via electronic transfer from their bank accounts in China to accounts that the lenders hold, also in China. "I can pay the money online on my phone," said the customer, whom The Globe agreed not to name, because he fears repercussions. He added that the lenders work in tandem with people who operate underground banks in China. "We all use our money in China to pay back … We don't have money here." Those offshore payments are thus delivered to the lenders as clean money – beyond the reach of Canadian law enforcement. The dubious transactions don't stop there. According to a recent operational alert from FinTRAC, Canadian-based drug-trafficking rings are using money laundered through China to buy fentanyl there. 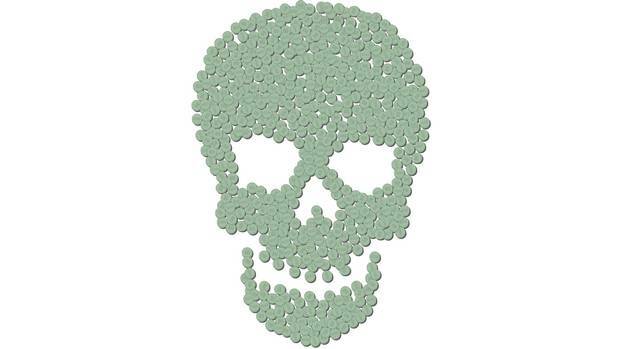 "Financial intelligence suggests that traffickers procure fentanyl, and its analogues and precursors, from overseas sources, mainly in China," said the bulletin. "Traffickers most often pay for these materials with wire transfers and money orders processed by money-services businesses." Apply that scenario to the private lending operation, and you get the potential for a clean circle of dirty money. Traffickers can import the fentanyl to Canada, where they can sell it on the street. They can then lend the cash to borrowers, collect clean repayments on those proceeds in China, and use that money to buy more product. The borrower who spoke to The Globe said that the loans he takes out are almost always in cash. "The money is probably not obtained through legitimate channels," he admitted, before adding an obvious disclaimer. "But I also don't want to delve too deeply." While The Globe was interviewing him at his spacious and secluded $3.8-million Vancouver home, he received a text message from a lender offering $50,000. "They always look for us," he said. "They will ask us to take care of their business and borrow money from them … They have a social network in mainland China, and they will know the situation of your assets both in China and Vancouver." He calls himself a "VIP gambler" and estimates he's borrowed $13-million from lenders in recent years, using his family's two B.C. mansions as collateral. He says he pays interest at a rate of five per cent every two weeks. That amounts to 130 per cent annually, more than twice the legal limit. He reluctantly accepts such an outrageous rate – it's the only way he can get his hands on major cash. "The money in China cannot be gotten out," he says, adding that some borrowers plunge so deeply into debt that they themselves go underground. "It's true that many people went broke after borrowing that money … then ran away and never come back. They ditched their properties and cars." Some, he says, even gave up their permanent residency or a shot at Canadian citizenship. 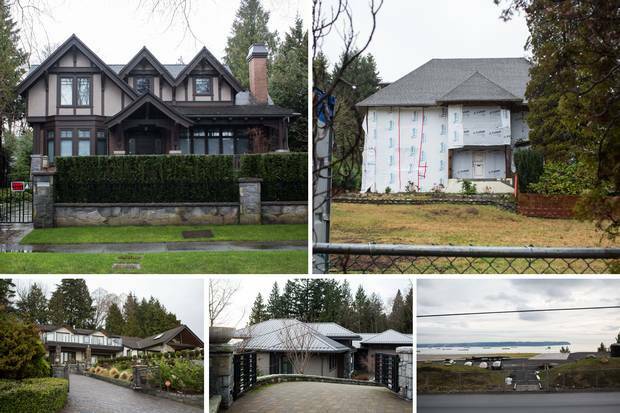 In 2015, suspected money launderers and drug dealers were involved in multimillion-dollar loans and mortgages to the owner of these five Vancouver properties. By 2016, all the properties were sold, with debts to the lenders exceeding the sale prices. Case in point: At one of the 45 properties The Globe looked into, a lender registered a $660,000 stake in a Vancouver home five years ago. Court filings say the borrower left for China and isn't coming back. The lender, meanwhile, stands to get much more out of the loan than he put in: The home has doubled in value, and interest on the debt – all payable to the financier, when the house is eventually sold – keeps growing. In another property in which the same lender has a claim, the house is sitting vacant and, although there is a Bentley still parked in the garage, neighbours say the owners haven't been seen in almost a year. That home is worth twice what it was when the loan was issued. A mortgage document, listing Ying Zhang as the lender, offers an interest rate of 39.6 per cent per annum. Because the properties are not in the lenders' names, their investments can't be seized as proceeds of crime, even if police could prove a connection between the money they lent and the opioids they were allegedly peddling. Most of the homes the Zhangs had stakes in were sold just months after they filed their claims on the properties. As lenders, the Zhangs were then paid out by cheques from lawyers, the same way a bank gets paid when it holds a mortgage. "These people have taken advantage of quite a few tactics here. These are people with a vast money-lending enterprise," said Ron Usher, a Vancouver lawyer who teaches real-estate law to B.C. notaries, and who reviewed The Globe's data. "I have some faith in our courts to sort these things out. But if [a borrower] doesn't respond and just isn't [in Canada], and the lenders get a court judgment, then things flow from there. And if these are the ones that ended in court, you know there are many, many more." A suspected money launderer gave a $400,000 loan for this property, then sued after it was sold in 2016, claiming the loan wasn’t paid. The lending practices uncovered by The Globe include allegations of deception on both sides of the lending equation, and even threats and extortion. Unregulated lending networks are familiar to Chinese citizens. Similar enterprises are part of that country's so-called shadow banking system: a huge web of operators who peddle high-interest loans, outside the banking system, through electronic messages and personal connections. Beyond the questionable sources of cash, another dark side to these practices in Canada – in plain view, within court records – involves allegations of threats and extortion by lenders, and deception on both sides of the money-lending equation. The Zhangs have made some of the most brazenly dubious claims, as a way to force collection on debts, claims which have gone undetected and unchallenged in the courts. In four cases, lenders Ying and Zhi Guang Zhang posed as builders, claiming they did so-called "construction" and "renovations," none of which were done, let alone by them. They were able to pull off that masquerade by filing what's called a "builders lien" against each house – a simple, one-page form, designed to be used by real builders who haven't been paid. The lien gives its holder an immediate legal stake in the real estate – without the owners having to be informed. A builders lien is easier to register than a mortgage, which a borrower must agree to. When the house is sold, if the owner doesn't challenge the claim, the builder automatically gets the money he says he is owed. "These guys are pretty clever to use the builders lien," said Lawrence Wong, another lawyer who has represented borrowers. "People pay no attention to a builders lien. They say, 'Okay, here's a builders lien. Let's pay it out.'" The Zhangs are not registered builders. In one case, they claimed they "built the whole house" for $2-million. In fact, it had been built three years earlier by a registered builder. In the other cases, the Zhangs said they did major renovations or, again, built an entire house. Sales listings and property records prove those claims to be untrue. The four properties in question have since sold for significant profits. It appears the Zhangs were paid out each time, as "builders." That allowed them to rake in a total of more than $3-million, in perfectly clean money. "Loan sharking usually only works with threats … so using the property is new and smart if you think about it," said Mr. Wong. "You force the [owner] to have to go to court. It's not an easy task to get [a lien] removed," he says, adding that it's especially difficult "when people are not living here." 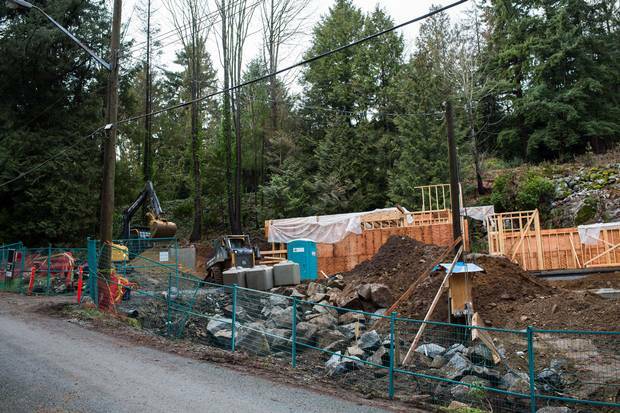 At this Vancouver property, a suspected drug dealer claimed he “built the whole house,” filing a $2-million builders lien. It had actually been built three years earlier by a registered builder. The most enterprising private lenders The Globe looked into are Paul King Pao Jin and his wife, Xiaoqi Wei. They've staked claims against 28 Vancouver-area properties since 2012, for loans and mortgages totalling $16.6-million. The RCMP raided the couple's Richmond home two years ago, while investigating international drug trafficking and money-laundering operations, and found $4-million in cash. Neither Mr. Jin nor Ms. Wei has been charged with any crimes. To high rollers at Richmond's River Rock Casino looking for quick cash, Mr. Jin is known as one of the more sophisticated lenders. In court documents, Ms. Wei is referred to as his "assistant." They hold mortgages on some of their debtors' properties. But they've also filed lawsuits against borrowers who didn't sign mortgage agreements, but who, according to the couple, took short-term loans and didn't pay them back. Regardless, in almost every case, Mr. Jin and Ms. Wei claimed the loans were for construction, renovations or mortgage payments for borrowers' homes. That is the only way a lender who doesn't hold a mortgage can register a legal claim on a land title. "You have to claim some interest in the home," said Mr. Usher, the Vancouver real-estate lawyer. "If I lend you some money, I have no right to go after your house. My claim has to involve some claim that relates it to the land … If you are successful, you can force a sale." In a third of those cases, the borrowers either didn't respond to lawsuits filed by the couple, or they settled, and Mr. Jin and Ms. Wei got all or some of their money out of the property, sometimes by court judgment. Some of the people they've pursued over unpaid debts, however, fought back in court – and accused Mr. Jin of a variety of things, including fraud, forgery and coercion. Most were wives whose names were on a property's title but who claimed they knew nothing about loans made to their husbands. Ru Bing Shen was one of them. "I never had any dealings with [Mr. Jin]. 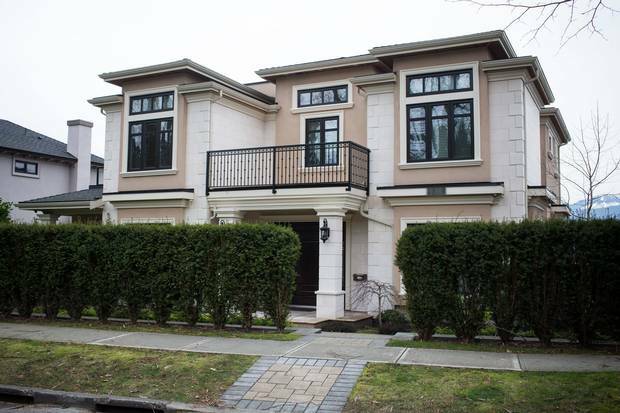 I never hired him to do renovations," Ms. Shen swore in a 2015 affidavit, after Mr. Jin and another lender filed $1.1-million in charges against her $2.64-million home in Vancouver's pricey west side. She'd just been divorced and wanted to sell, but couldn't - unless she got the court to remove those claims from the title. According to Ms. Shen's affidavit, she came home one day, after picking her child up at school, and was confronted by Mr. Jin and four other men "waiting outside, all with shaved heads." She said she told her child to "rush inside." Mr. Jin said he was looking for her husband, "then told me that he would return whenever he wished." She said she feared "what Mr. Jin could do to me or to my family" and didn't feel safe in her home. Ms. Wei responded in court filings, saying that she and Mr. Jin had given Ms. Shen's husband $405,000 worth of loans, all in cash. She claimed that Ms. Shen had admitted owing the couple money, when they visited her home. The judge sided with Ms. Shen and dismissed the couple's claims against the property. Hers is not the only case in which Mr. Jin is accused of dragging other people into disputes he has with his borrowers. Chujun Xiang is a student from a wealthy family, who claimed in a 2014 lawsuit that Mr. Jin threatened her with violence from "Vietnamese gang members." Unlike Ms. Shen, she didn't plead ignorance about the loan in question. In fact, she had pledged the condo she owned as collateral for money that Mr. Jin had loaned to a friend of hers, who didn't pay him back. The short-term loans totalled $70,000, a debt that was growing at 40-per-cent annual interest. Ms. Xiang's lawsuit claims that Mr. Jin forced her "under duress arising from threats" to sign over full title to her $320,000 condo, at his lawyer's office, giving her no time to get the debt repaid another way. Mr. Jin and his wife sold the home immediately and pocketed more than $100,000 after the bank mortgage was paid. Mr. Jin didn't respond to Ms. Xiang's lawsuit, which hasn't gone to trial. Given that the various private lenders stand accused of making threats, trafficking in deadly drugs and laundering money, The Globe asked the RCMP for an interview for this story, but didn't hear back. The Globe also tried to get in touch with the biggest lenders named here, but received no response. This property was sold just weeks after a private lender registered a claim for $580,000 worth of loans. A court ordered the full loan plus interest paid to the lender. It would be impossible for the shady operators to obtain their stakes in millions of dollars' worth of real estate if it weren't for Canadian lawyers willing to give them an air of legitimacy, by writing up mortgage agreements and filing lawsuits on their behalf. Several experts suggested to The Globe that serious questions should be raised about solicitors who engage in these transactions. Lawyer Hong Guo drew up the paperwork that paved the way for Ms. Xiang to sign over her property. Perhaps more disturbingly, land-titles records show that she has facilitated numerous deals for Mr. Jin and at least one other lender with possible connections to drug crime. The rules of the Law Society of British Columbia stipulate that any member who "knows or ought to know" that they would be assisting in illegal activity must drop the client involved. Denis Meunier, formerly of FinTRAC, believes that such restrictions don't carry much weight in the current system, where lawyers police themselves. "The rules are weak for lawyers and there is very little enforcement," he said. "There are questions that all lawyers should be asking. Among them: Where is the money coming from? Am I being used to facilitate money laundering?" The B.C. law society has been investigating Ms. Guo for months, ever since $7.5-million she was holding in trust for clients went missing. She insists the clients' money was stolen by two of her employees who fled to China. The regulator says its probe is not yet finished. As for her lender clients, in an interview with The Globe Ms. Guo said that she had "no clue" that Ms. Wei and Mr. Jin – whom she called "a bit rough" – were potentially laundering drug money. "They came here as regular clients," said Ms. Guo. "I have never seen anything in cash. They always say they will pass on the money [to the borrower] by themselves. It never goes through me." Lawyers don't have to report suspicious transactions to FinTRAC, regardless, because the Federation of Law Societies of Canada fought that requirement in the Supreme Court of Canada and won. The lawyers had argued that reporting on their clients would violate a solicitors' obligation to keep matters confidential. Ms. Guo insists that she asks all her lender clients where they get their money from – and that she takes what they say at face value: "We are not the police and we are not FinTRAC and we have no way of doing an investigation. We ask, 'What is the source of the funds?' and normally they say that is their savings." "I am the biggest Chinese lawyer in the Chinese community. We do 600 million [dollars] a year in transactions. Maybe that is why we are a target for criminal activities. They know we are doing lots of work." Even lawyers who steer clear of shady lender clients can find themselves in hot water over these deals. David Chen is being sued by one of his clients, over an $800,000 mortgage, from suspected drug dealer Zhi Guang Zhang, for which Mr. Chen did the paperwork. The borrower client claims that Mr. Chen didn't do enough to help him understand what he was getting into. "We have a lot of newcomers, and they bring a different way of doing business and dealing with money," said Mr. Chen, referring to clients from China whom he represents. "They like to have cash here … If they don't know about interest rates [charged by legitimate lenders] in Canada and they have no idea of the norm here, then they are getting taken advantage of." A killer high: How Canada got addicted to fentanyl Manufactured in China, it easily crosses our porous borders, triggering a heroin-like bliss in users – and, all too often, death. The Globe investigates the rise of a fatal opioid. B.C. to bolster service to test drugs for fentanyl Statistics from Health Canada’s Drug Analysis Service show a dramatic surge in the presence of fentanyl in heroin samples seized by police over the past five years, Andrea Woo and Justine Hunter report. 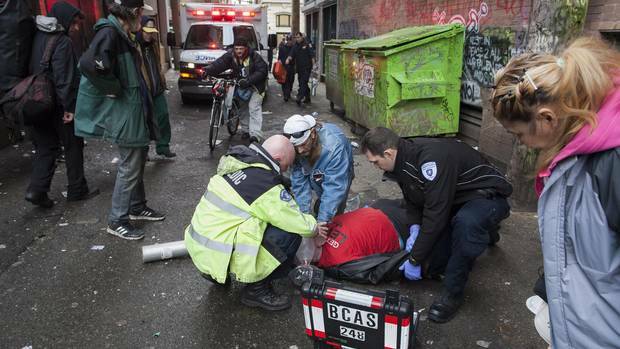 On Cheque Day, a toxic mix of money and drugs in Vancouver’s Downtown Eastside Drug users in the Downtown Eastside are always at risk, but never more so than when social assistance cheques arrive every month. 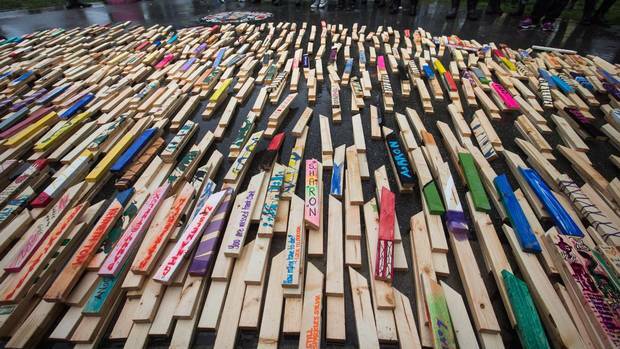 The Globe spent roughly 24 hours in the neighbourhood for a first-hand look at the overdose crisis.